You don’t usually think of angels travelling by car. 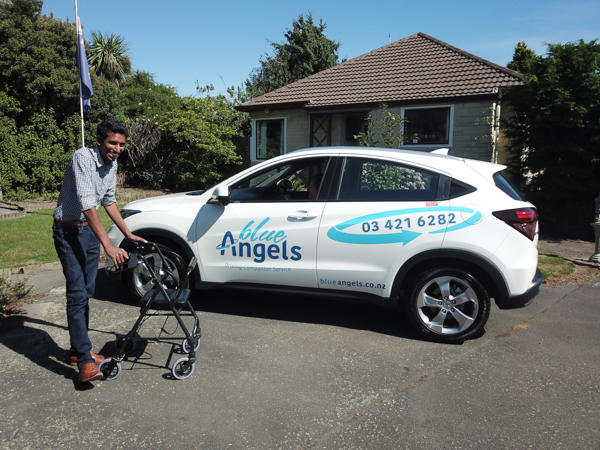 But in 21st century Christchurch, one caring, helpful and friendly ‘angel’ travels in a white Honda HR-V, taking people here and there, chatting with them along the way. Those extras are at the heart of Renan’s customer-focused service. He can help clients get in and out of the car, fold wheelchairs and walkers, accompany clients to and from their doors and even assist with shopping. 03-421 6282 or visit www.blueangels.co.nz.